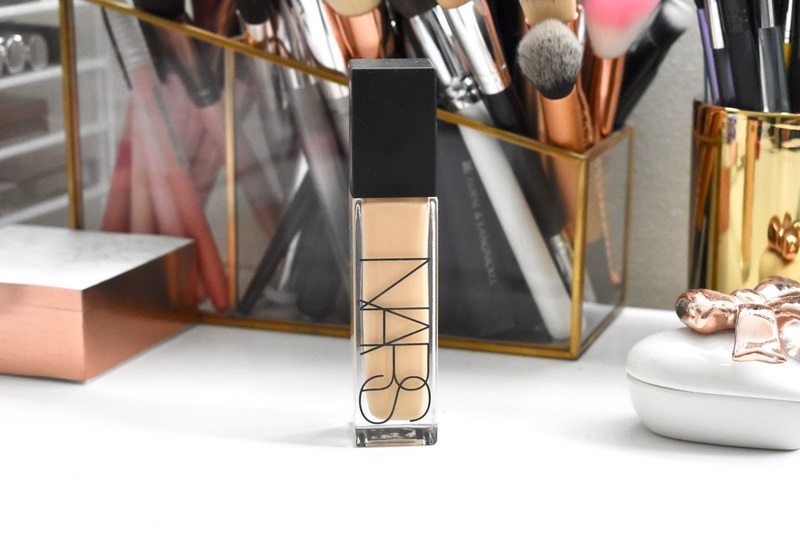 Today I have a review of the new NARS Natural Radiant Longwear Foundation and if it is really worth picking up. I have been using this for about 2 months now and I can tell you that my skin has been really liking this foundation. I have dry/sensitive skin and I always want to use a face product that is going to be buildable, lightweight, not accentuate my dryness and be long wearing. I have found all of those in this NARS foundation. Find out more on my thoughts below! NARS’ first 16-hour foundation has a lightweight, breathable, fade-resistant formula and features medium-to-full, buildable coverage in 33 skin-matching shades to fit all skin tones and undertones. The transfer-resistant, sweat-resistant formula stays color-true all day, and continues to look fresh and vibrant, as if it was just applied. This formula features superior blendability for an imperceptible effect that looks natural, like skin. 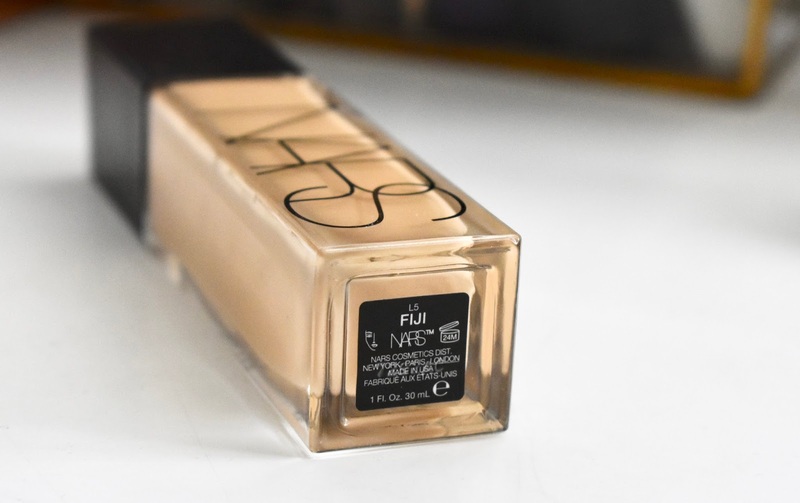 When using this foundation, you only need to use a small amount. This is because it is concentrated with Skin Recognition Pigments which act like magnets for the long wearing properties. When you do use too much at one time, the foundation can end up getting stuck to dry patches or rough skin. This happened to me when I was first applying this. I used too much and it was not looking nice anywhere. I then took smaller amounts and it evened out the foundation better and looked great in the long run. It's always best to make sure skin is cleansed and exfoliated prior to putting this on. 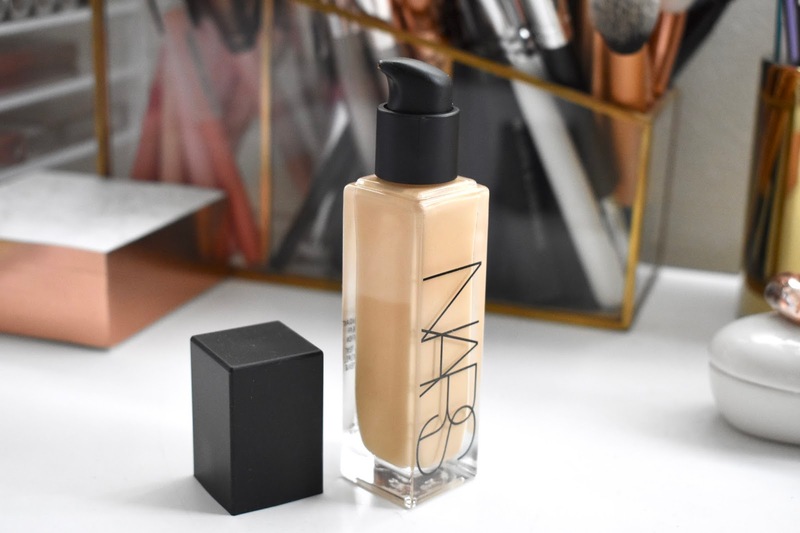 The NARS Natural Radiant Longwear Foundation ($49) does apply with ease to the skin and it is recommended to apply with fingers first and then buff it in with a sponge. I also recommend this technique vs. a brush because it won't blend in the foundation as well as a sponge can. 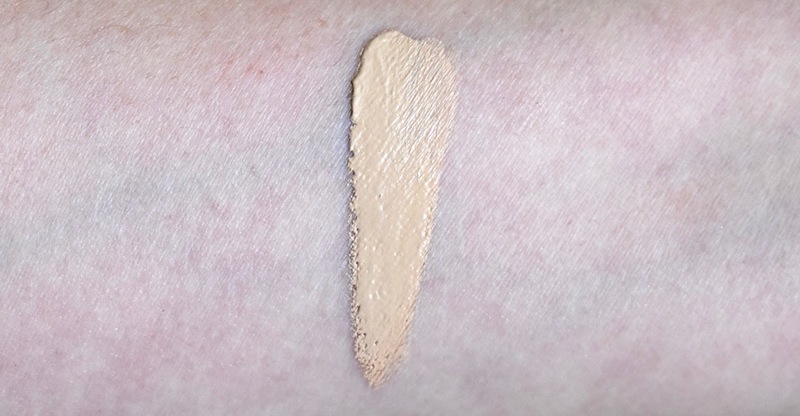 Once applied, the foundation feels lightweight and looks very natural. I prefer this kind of medium coverage on a daily basis. I also appreciate that this foundation is fragrance-free, oil-free and non-drying. Do I think NARS Natural Radiant Longwear Foundation is worth it? Yes! If you are someone like me with dry skin and want something that gives great coverage but is still lightweight and is also long wearing, this could be for you. Let me know you thoughts in the comments! Product was purchased by me. All opinions are honest and my own.